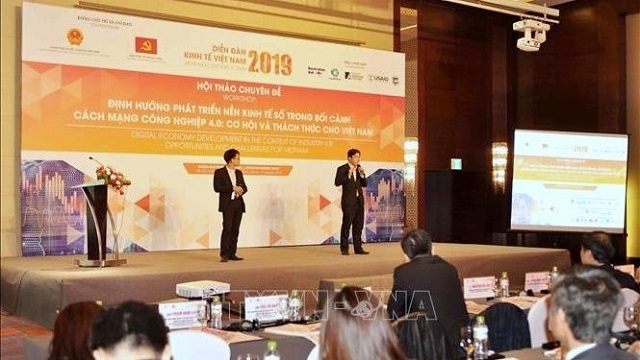 The event was held under the framework of the Vietnam Economic Forum 2019, hosted by the Government of Vietnam and the Party Central Committee's Economic Commission. 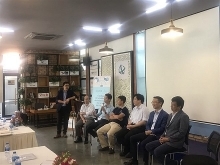 Speaking at the opening, deputy head of the committee, Nguyen Huu Nghia, emphasised that the workshop was held to exchange and discuss experiences both in Vietnam and the international community to serve the research and development of the Party and State’s guidelines and policies, while supporting enterprises to promptly and effectively approach the IR4.0. The workshop focused on the development trend and impact of the digital economy on the world economy, the impact of the digital economy on economic sectors, opportunities and challenges for Southeast Asian countries, and the wave of artificial intelligence (AI) in Vietnam. Delegates also discussed key areas that Vietnam should focus on in order to develop its digital economy in the future, solutions for Vietnam to develop its potential in ASEAN on the application of AI, connecting Vietnamese AI experts around the world together and transferring AI technology from global technology corporations to Vietnamese companies.